Tired of replacing your cable eyes? The Eye Protector is a device designed to slip quickly and easily right over the cable eye, for maximum protection against chaffing, wear, and breakage. So you save time and money, by extending the lifetime of your cable. 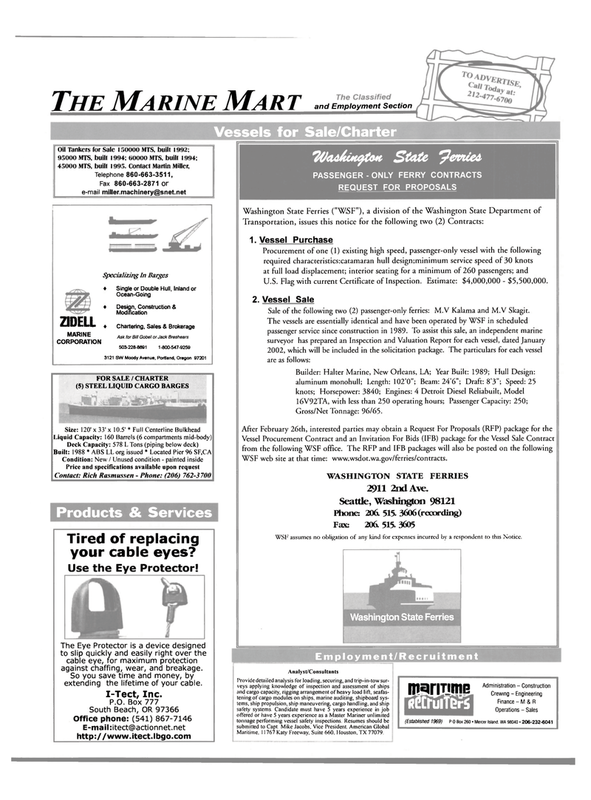 Sale of the following two (2) passenger-only ferries: M.V Kalama and M.V Skagit. WSF web site at that time: www.wsdot.wa.gov/ferries/contracts. WASHINGTON STATE FERRIES 2911 2nd Ave.
WSF assumes no obligation of any kind for expenses incurred by a respondent to this Notice.